Can’t post an image of one niece and not the other. How would you like to take a 3.5 2.5 year old firecracker shopping? This is so typical Alice, getting into mischief and giggling! Those are so cute! 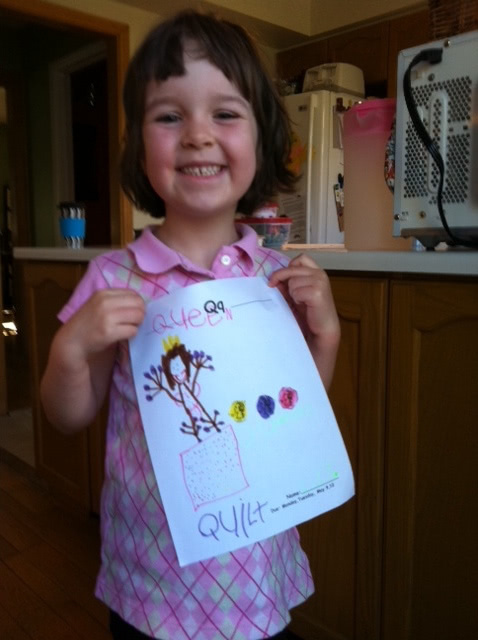 My grandson also had the letter Q a couple of weeks ago, and I saw a paper with a quilt on it. When I taught school, we read a story about quilts, so I would take samples and explain how one is made to my 5th graders. My principal wanted so badly to incorporate some kind of sewing class in middle school, but there just wasn’t any time in the curriculum. How great! Influencing the next generation! 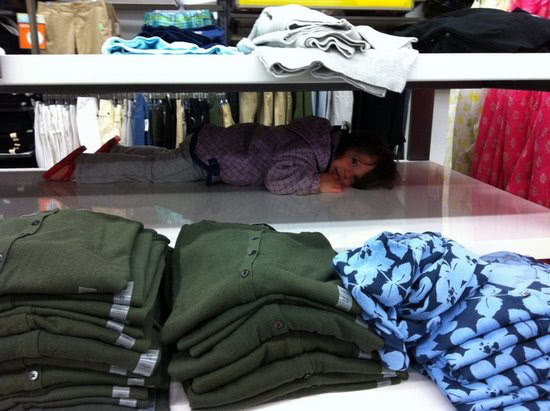 Love the hide & seek too. What fun! Are those two girls adorable or what?! !